Every month Paul Morrell Formalwear tracks the rental data for all of the tuxedo styles we offer and determines the top ten tuxedo styles rented for the previous month. 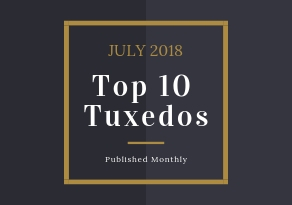 Below are the Top 10 Tuxedo Styles for May 2018! This information is invaluable to businesses and consumers alike because everyone wants to know what’s in style right now. In a constantly changing and evolving environment, having up to date style information like this puts you way ahead of the curve. 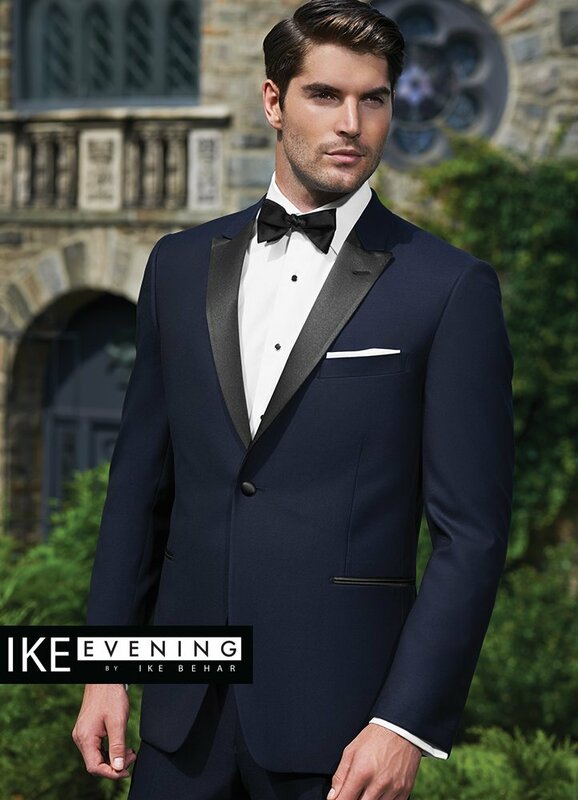 The black ‘Jackson’ slim tuxedo by Ike Behar is as classic and elegant and it is beautifully fitted. Featuring a 1 button single breasted front, satin peak lapels, satin besom pockets, fashioned from luxuriously soft Super 120’s wool, and constructed for a slim fit, this is true black tie attire made specifically for those who want a trimmer and sleeker look for a special night. 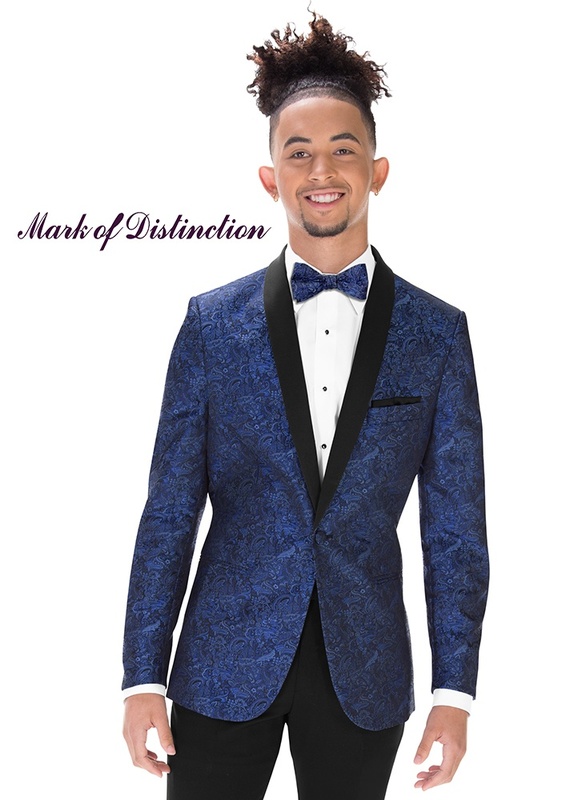 The Mark of Distinction Cobalt Blue Paisley ‘Aires’ Tuxedo is one of three new prom coats added for 2018. You will have no problem making an impression on all those in attendance. The ‘Aires’ Tuxedo is a very Slim fit profile and is available in a Boys 16 to Men’s 54L, & is Even sizes only. Simple, timeless, and always elegant, the black ‘Classic Collection’ tuxedo coat is a formal classic that will never disappoint. Featuring a 1 button single breasted front, satin notch lapels, satin besom pockets, and fashioned from tropical worsted wool, this tuxedo coat has everything you need to look amazing for your prom, wedding, black tie affair, or any other formal venue. 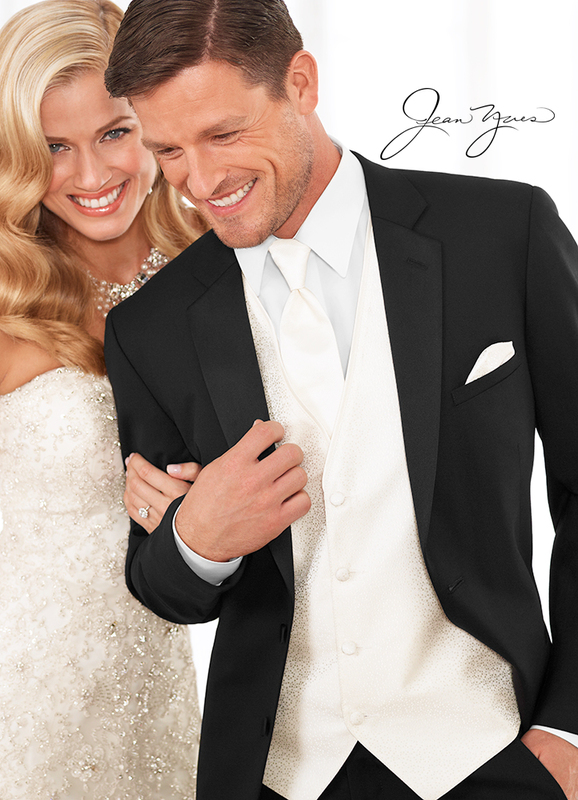 The Tan ‘Bartlett’ Tuxedo by Allure Men is a powerful and popular style in this incredible line of wedding tuxedos! 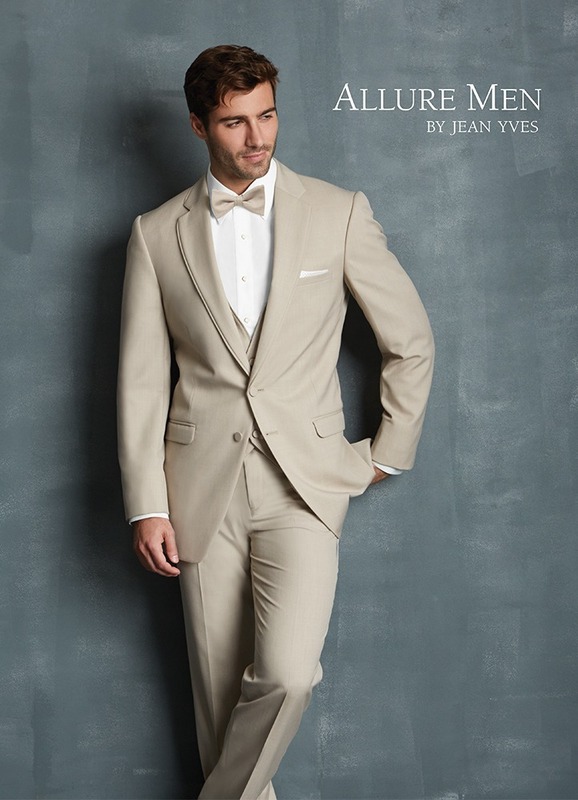 While wonderful for a wide variety of formal and semi-formal events, the Tan ‘Bartlett’ Tuxedo caters most directly to daytime garden and destination weddings. The tuxedo actually contains no satin. The lapels are self material with self trim. Other features include a two button front and side vents. This style is perfect when you need to look positively dapper, without looking overly formal. This style is an elegant crowd-pleaser! The Black ‘Modern Essential’ Tuxedo by Jean Yves is an updated incarnation of the basic tuxedo, perfect for any formal occasion. Featuring a two button, single-breasted front closure, satin notch lapels, satin besom pockets, and fashioned from tropical worsted wool in a modern cut for a trimmer and updated silhouette, this tuxedo is versatile and classic enough for virtually any formal occasion. Sometimes the best formal wear is all about going back to the basics, and doing them well! 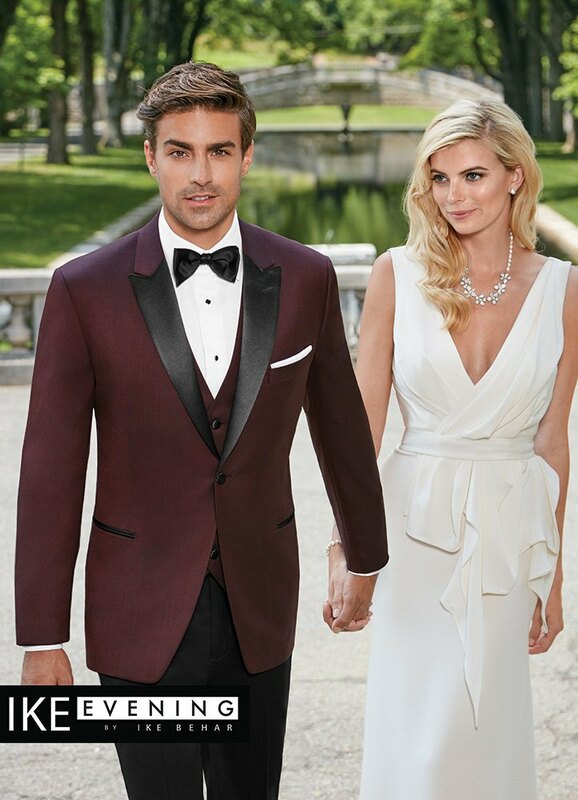 In response to red carpet looks and sharp dressing professional sportsmen, Ike Behar has made the burgundy ‘Marbella’ slim fit tuxedo! It features contrasting black satin peak lapels and a one button front and is made from luxurious super 120’s wool. Matching trousers and vest are available, if you dare! 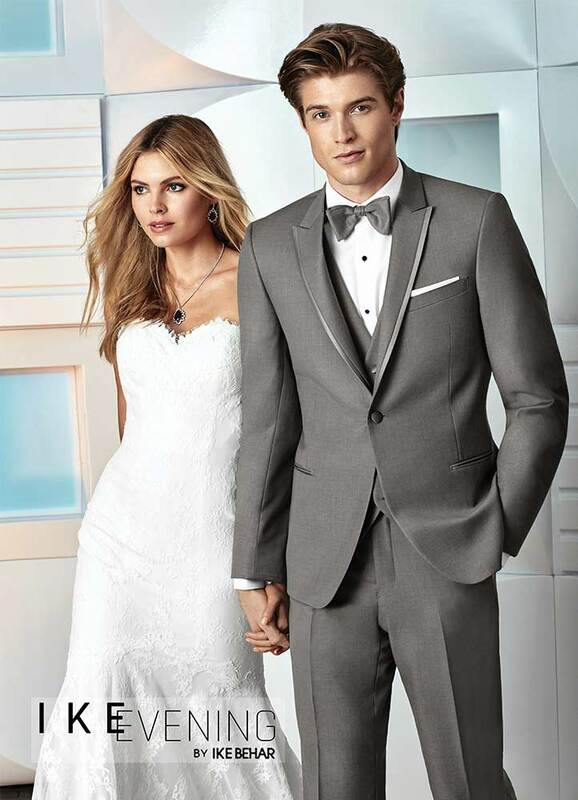 Set the standard with the Grey “Chelsea” Tuxedo by Ike Behar. It has a 1-button front, self peak lapel w/ satin trim, satin besom pockets, self top collar, and is fashioned from a Super 100’s Wool. This tuxedo is GREAT for your Wedding, Prom, or Presidential Ball. The Navy ‘Blake’ Tuxedo is a classy, attention grabbing navy formal favorite! Featuring a single button front, black satin peak lapels, black satin besom pockets, side vents, slim fit construction, and fashioned from luxuriously soft navy Super 120’s Wool, this tuxedo is not only striking and powerful, it’s also the most formal of our navy tuxedo options! 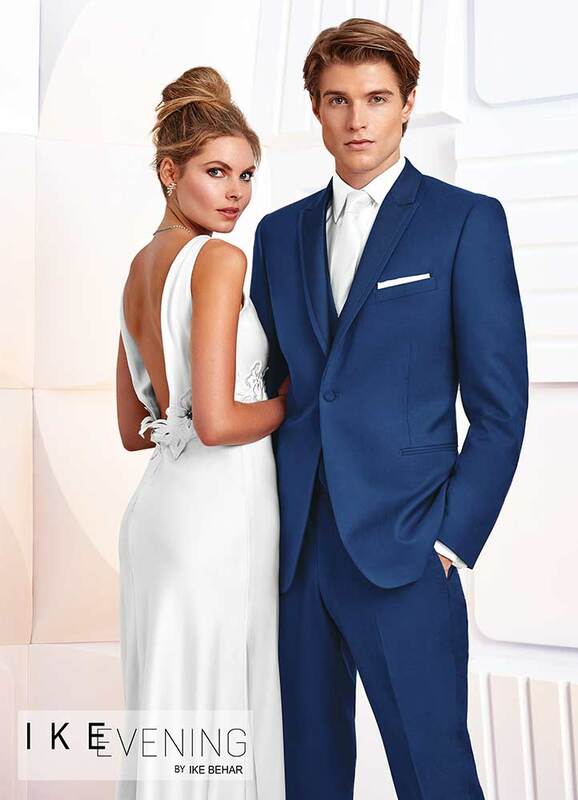 The Cobalt Blue ‘Greenwich’ Tuxedo by Ike Behar arrives in the wake of the increasingly popularity blue formalwear. It features a one button single-breasted front, peak lapel, satin besom pockets, and is fashioned from luxuriously soft Super 120’s wool in a slim cut for a closer, more exacting fit. 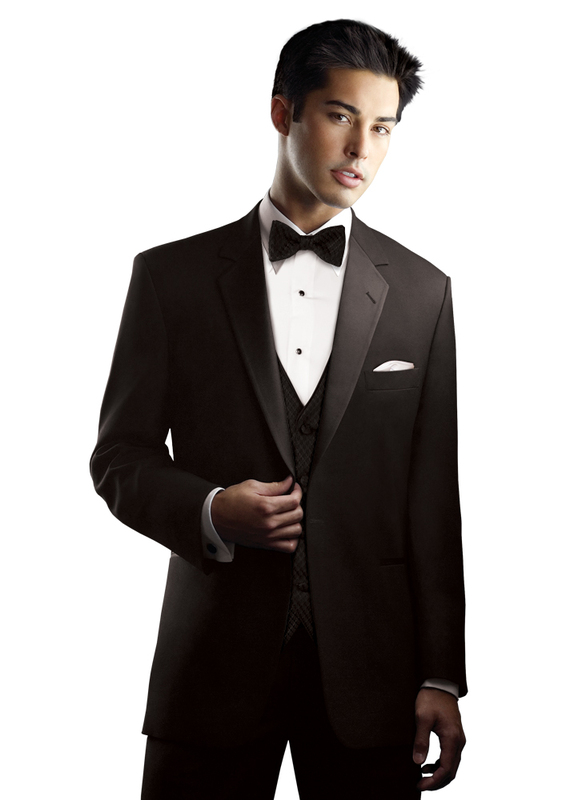 This tuxedo is a beautifully colorful option for your special event. The Navy ‘Sebastian’ Tuxedo is a fantastic formal option for anyone looking for a clean and simple navy tuxedo. Featuring a two button front, satin notch lapels, satin besom pockets, side vents, slim fit construction, and fashioned from luxuriously soft Super 120’s Wool, this tuxedo is a great way to stand apart from the crowd, while maintaining a timeless and elegant look! Like what you see? Let us know what you think! Leave a comment below and let your voice be heard!